This is the kind of dish that makes me want to invite friends over for a casual summer lunch at some big long wooden table outside ― Maine comes to mind ― and adorn it with glasses of rosé. This salad is light, refreshing and is perfectly balanced with the right amount of heat and sweetness. It’s got a real summer feel to it. So come have a seat at my table and get happy. Let’s get started. Begin by cleaning and prepping the shrimp. 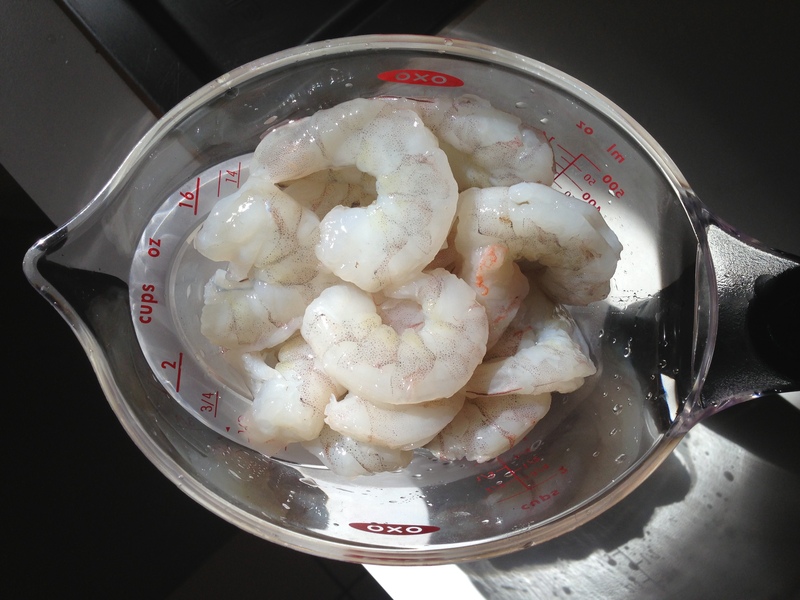 You’ll want to get medium-sized shrimp that have been thawed (if frozen) and have their shells and tails removed. Season them with salt and pepper before cooking. 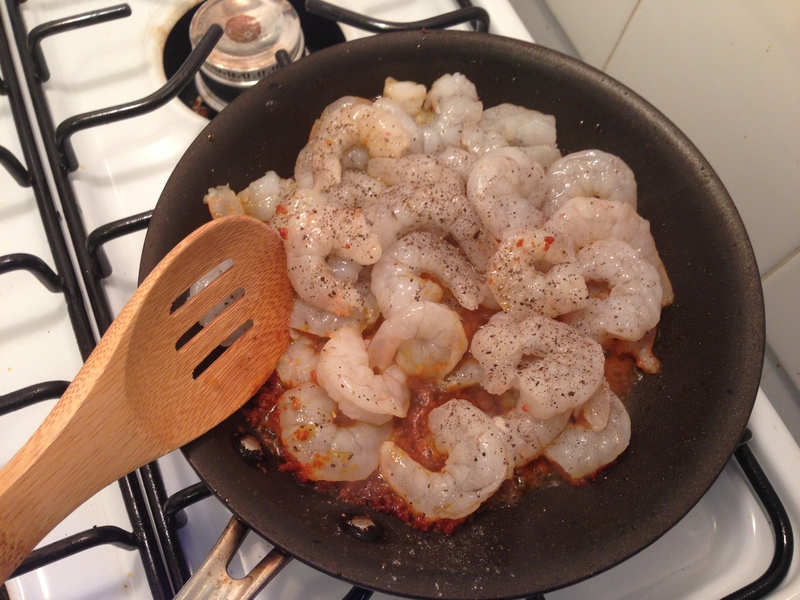 Now that the shrimp are ready, heat 3 tablespoons of your olive oil in a saucepan over medium high heat. 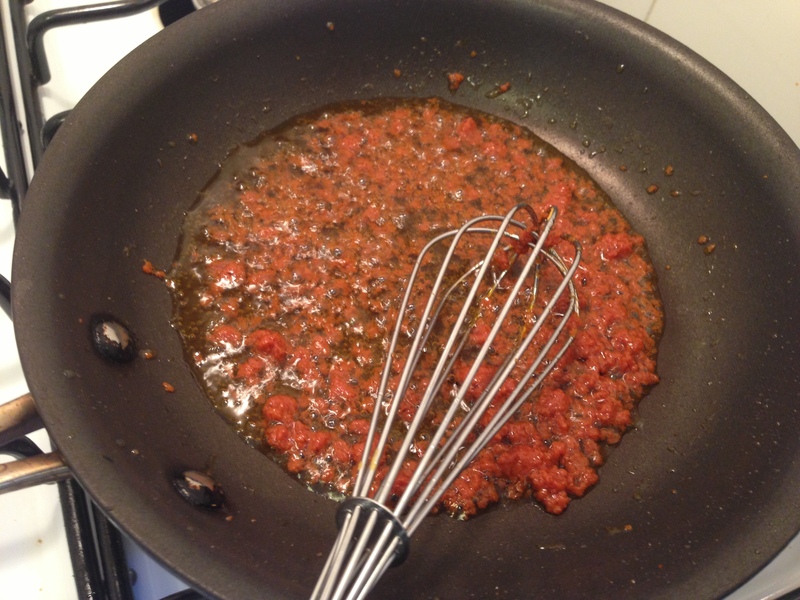 Add the red curry paste and whisk for a minute or so until fragrant. Now add the shrimp and cook for only about 2-4 minutes. 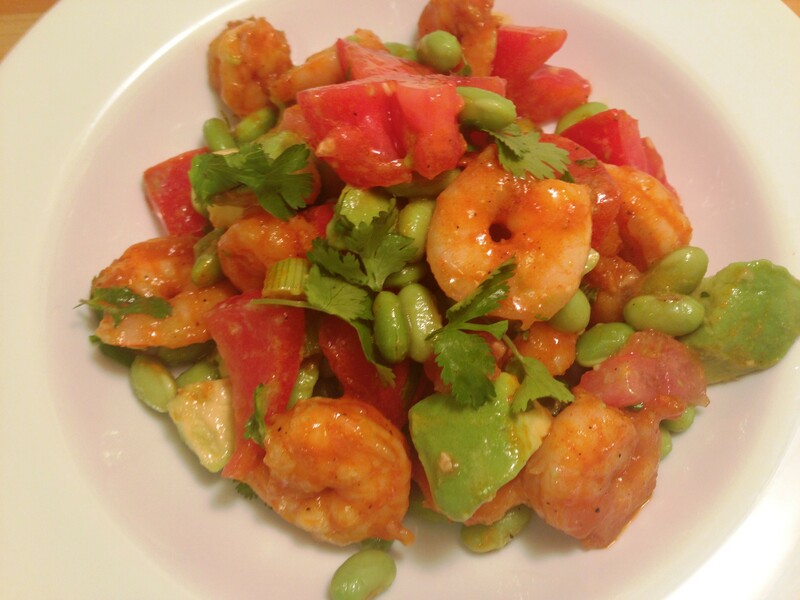 You don’t want to overcook shrimp! So many people do and they turn out gummy and rubbery. These little guys don’t take long! 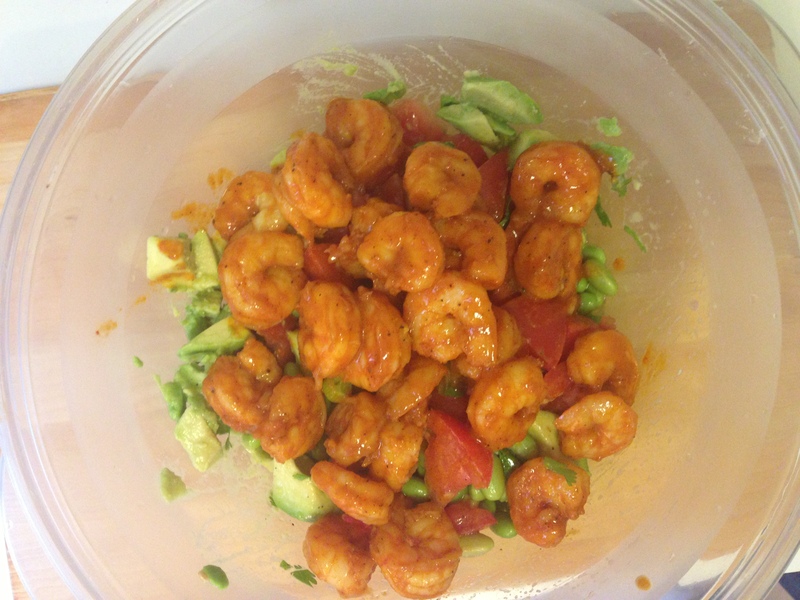 Once the shrimp have cooked, chill them in the fridge until they’re ready to be added to the salad (note: by the time you prep the rest of the salad, the shrimp is already chilled if you pop them in the freezer!). Next up, salad prep! 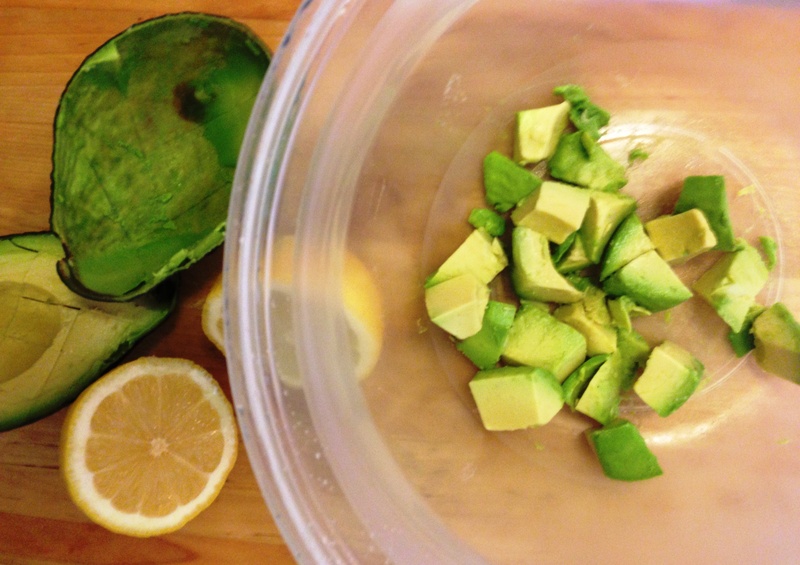 Slice your avocado in a large bowl and drizzle it with about a teaspoon of fresh lemon juice. 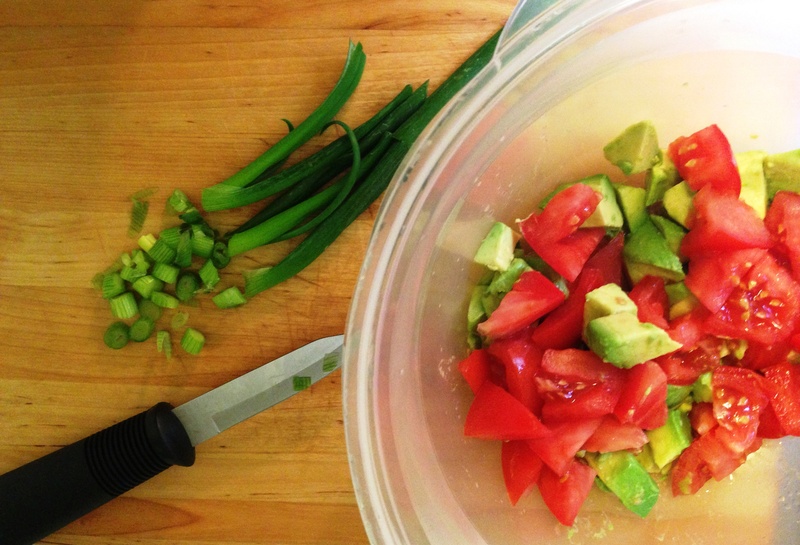 This will prevent the avocado from turning brown. 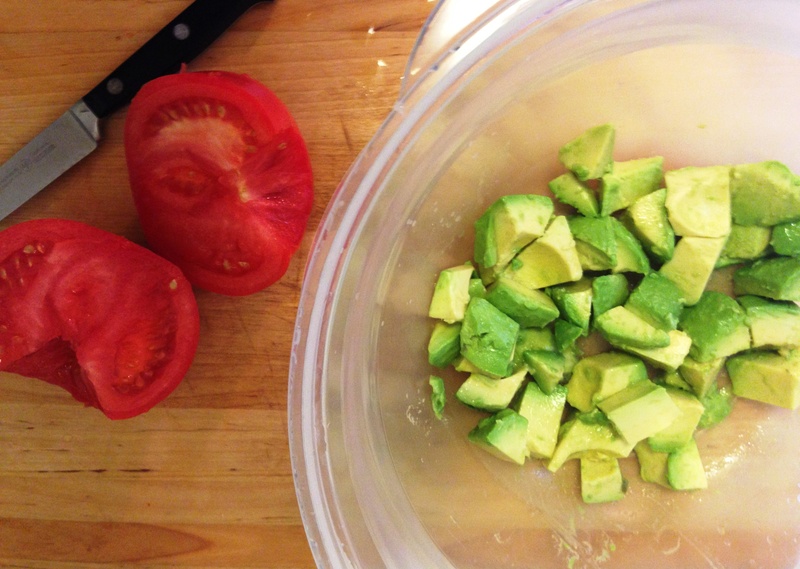 Chop up the tomato next in similar-size pieces as the avocado. 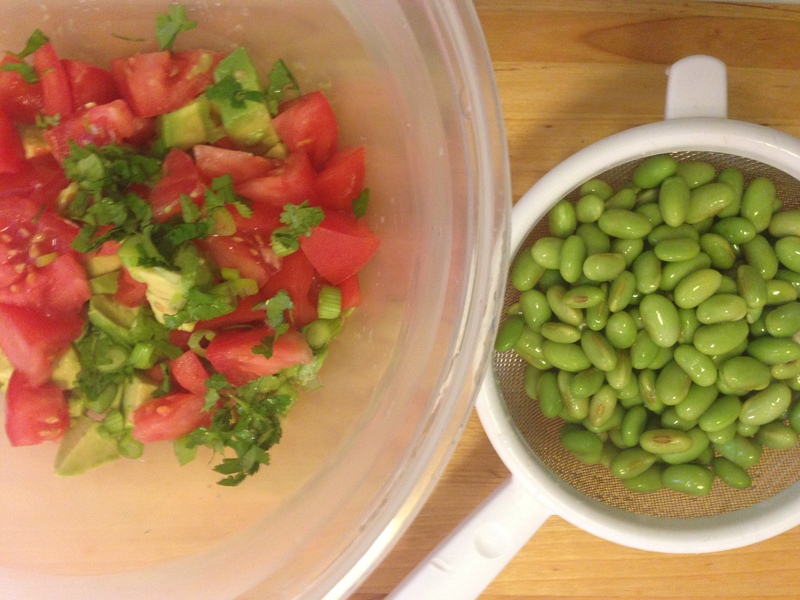 Now add the chopped scallion, chopped cilantro and edamame (if frozen, boil for 5-6 minutes, strain, then run under cold water). 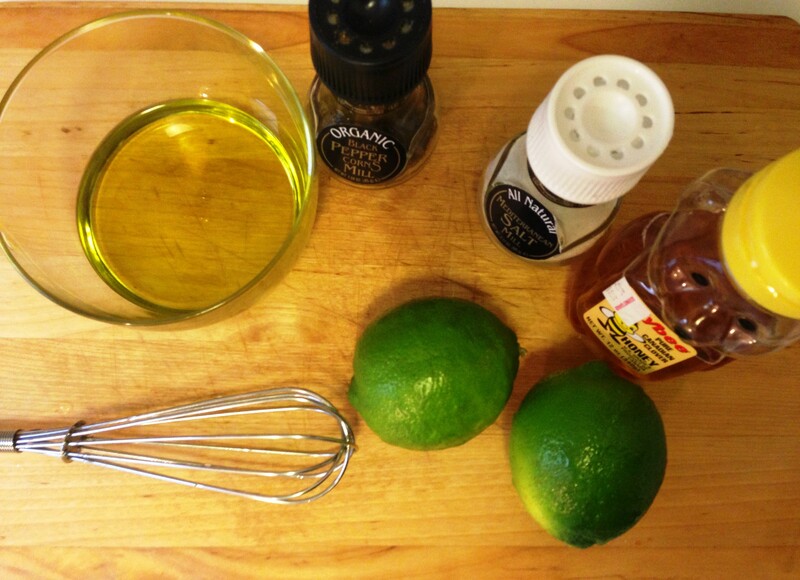 Now make the salad dressing by whisking together the honey and equal parts of lime juice and olive oil. Season with salt and pepper. 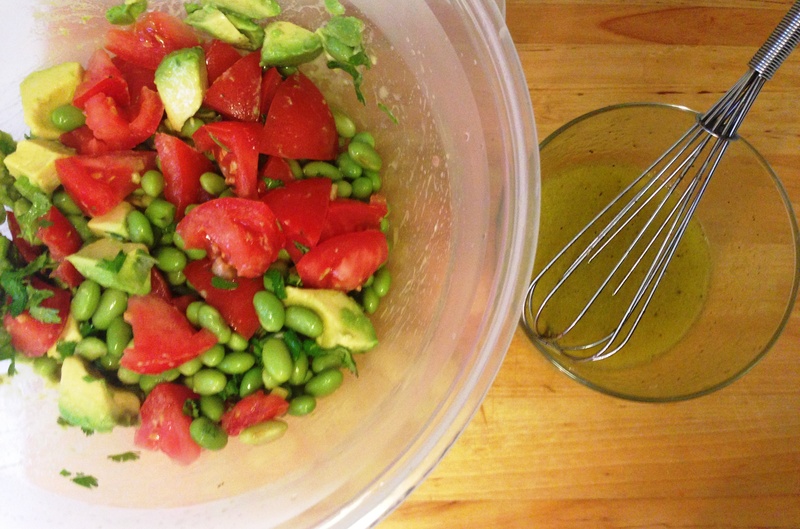 Drizzle the dressing over the salad and gently toss together. 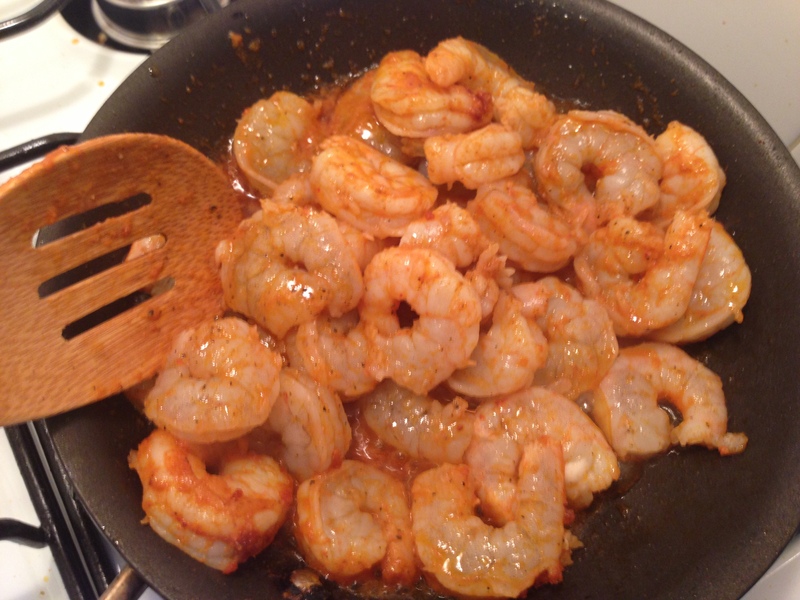 Now add your chilled shrimp in the curry sauce and toss lightly. 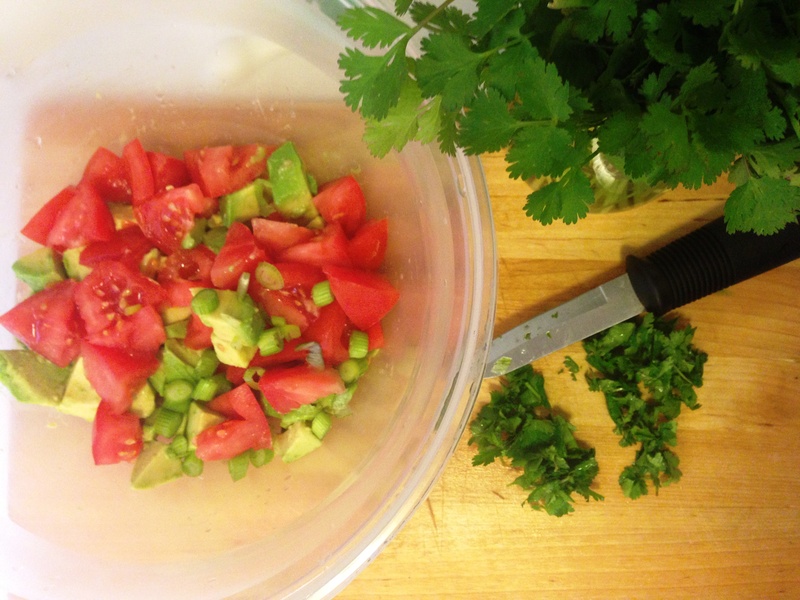 I place the salad in the fridge for about an hour before eating just so that all the ingredients get evenly cooled. Now get ready to plate and be transported to summer, wherever you may be. I like to garnish this dish with chopped peanuts or cashews. 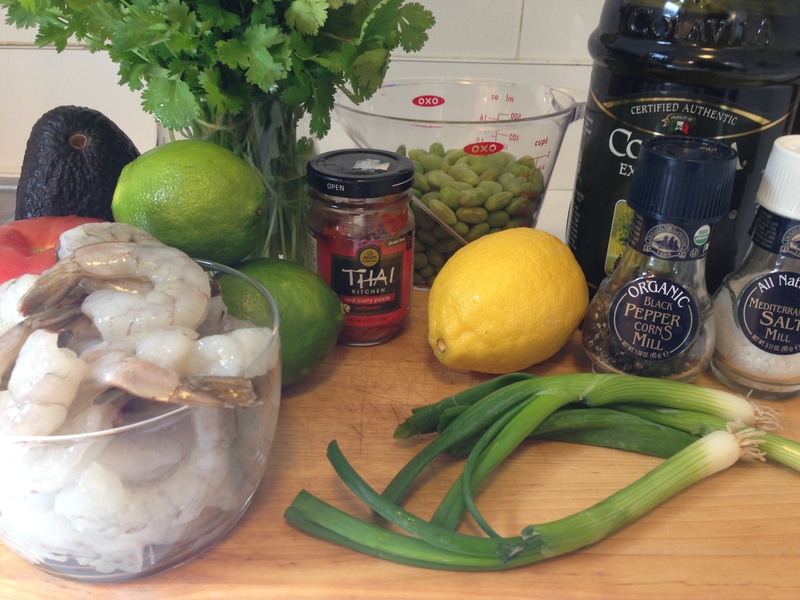 Looks good- I might try that tonight….